May be applied to many other surfaces such as metal, painted and wood furniture, doors, windows, mirrors and glass. Looking to personalize your space? Our wall name decals are the perfect way personalize your space as they can be applied to smooth painted surfaces, as well as metals and glass. So personalized all the rooms in your house - simply measure, peel and place. Our name / text decals are not only available in multiple colors, they are available in multiple prints and patterns AND 100s of different fonts; in fact you can create your own pattern from the thousands of design parts already in our system or you can upload your own graphic and/or pattern. Customizing your decals is fun and easy in our customization & rendering system. Sizing name / text can be difficult because it depend on the letters and font. So to take the guess work our and make it simple - we have created 3 MAX sizes BUT allow you to customize your decal to YOUR EXACT dimensions. 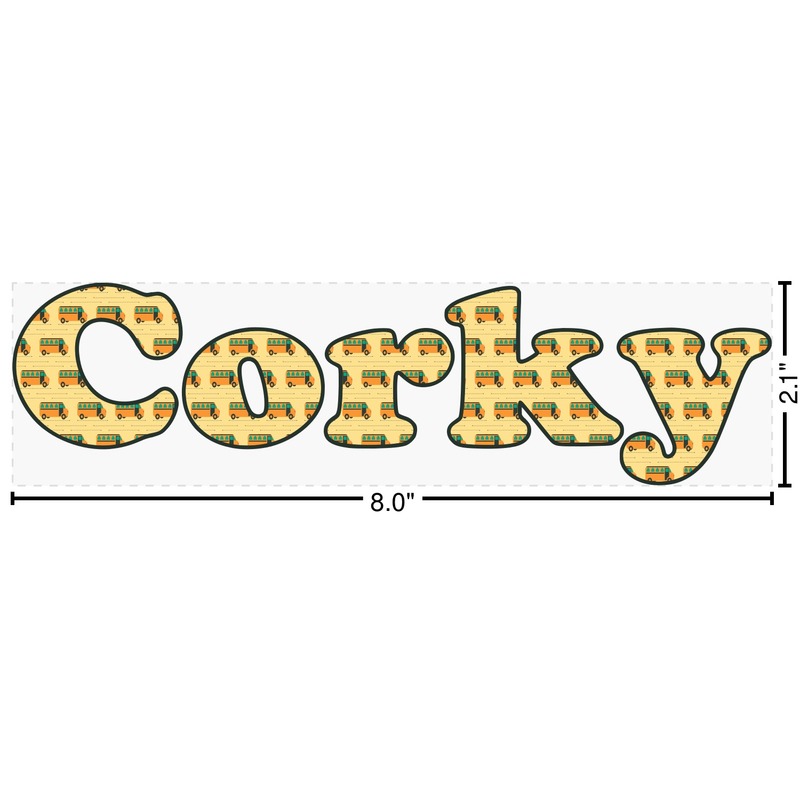 The name Decals are available in 3 sizes: Small (max dimension 4H" x 16W"), Medium (max dim: 9H" x 36W") & Large (max dim: 13" x 52"); however, each size can be customized to an EXACT dimension - so for so for example if you are put the text above a twin bed (38" Wide), you would select the large decal and in the advanced option, you would adjust the max width to 38" and your decal will not be wider than 38"; it's height will depend on your text and font selection. Our wall name decals are printed and machine cut from glossy white vinyl that has the removable adhesive; this adhesive is similar to a post it note, thus ensuring easy, simple and clean removal of the name(s). For the best and most satisfactory outcome with and when applying the decal; wall surfaces that are smooth & lightly textured as well as most types of painted interior are preferred. Includes but not limited to most flat, semi gloss and gloss paint finishes. Decals may also be applied to sealed wall coverings. These wall letter decals can also be used on many other surfaces such as metal, painted and wood furniture, doors, windows, mirrors and glass.